If you face with a difficulty to read at close distance, it’s time to buy reading glasses. Two types of reading glasses are known, they are half-eyes and full frames. Full reading glasses such as Gianfranco Ferre eyeglasses are great for people who need to concentrate on some written material close-up for a long time. 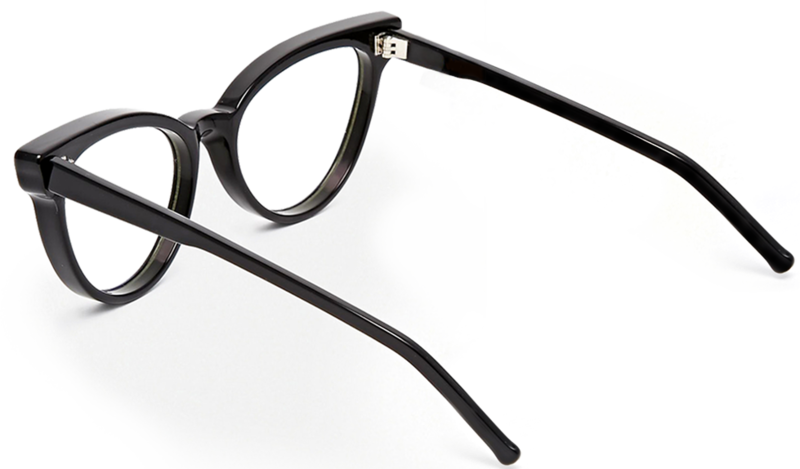 The lens in such glasses is specially designed for being prescribed for reading. In comparison with full reading glasses it is possible to see up, down, over and through half-eye reading glasses near and far while working. If you have never worn any glasses before and have recently started feeling the necessity in using ones you’d better choose reading glasses than progressive lenses or bifocals. There exist reading glasses, which could be easily put in credit card-sized cases, pen-sized holders or a chatelaine bag. They are not suitable for reading books but when you get embarrassed in a café not being able to make an order because you can’t see what exactly the menu says such glasses come in handy. Moreover, tinted reading glasses, which you can put on going outdoors in the sun, are also available. They even give UV protection. When you decide to buy reading glasses, you may choose between ready-made reading glasses and custom eyewear. Which is better? Without any doubt, the answer is ready-made (“drugstore”) reading glasses. This type of reading glasses was popular in the 1990s and purchases then were higher than ever before or after. Pre-fabricated reading glasses are cheaper than custom-made ones allowing you to afford a few pairs without risking a huge amount of money. One more advantage of ready-made reading glasses is that they are available in a lot of bright colors and funny styles. Click here and you will find a great selection of stylish frames. Each pair is unique and distinguishing making you feel special, comfortable and confident in the best quality. If after having bought a pair of outrageous reading glasses you feel that they are not what you need you may always purchase a more classical reading glasses or just have each pair in different places where you may need them (a car, your office, a kitchen, a bedroom). But wearing reading glasses that do not correspond to your prescription may lead to headaches, nausea or eye strain. While buying pre-fabricated reading glasses examine them thoroughly for any defects such as waves or bubbles. And if you can’t find good quality ready-made reading glasses buy custom-made ones. Remember that reading eyewear is not the same as computer glasses. Do not be surprised if trying to see something on your computer screen in your reading glasses you can’t see the text well. You’d better spend money on computer glasses if you are an active computer user.